Core competency across biosimilar and plasma derived products makes Intas’ Biologics Business Unit one of its fastest growing franchise. Keeping patient’s welfare and wellbeing at the forefront, since the year 2000 it has been developing bio-therapeutics that meet the highest quality standards, and making them available at affordable prices. 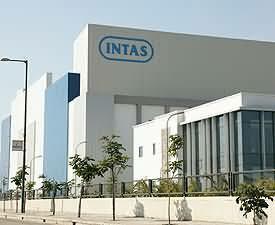 Leveraging its R&D strengths and state-of-the-art manufacturing facilities, Intas’ Biologics BU has been focused on developing high quality recombinant DNA protein (rDNA) products and plasma derived products to address unmet medical needs across various therapeutics areas such as Oncology (Cancer), Auto-Immune, Ophthalmology, Nephrology, and Plasma derived product based therapies.